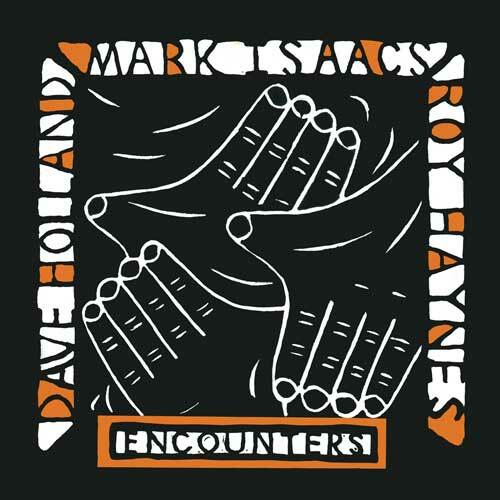 Mark Isaacs - ENCOUNTERS with Dave Holland & Roy Haynes - AVAILABLE NOW! ENCOUNTERS with Dave Holland & Roy Haynes - AVAILABLE NOW! When Encounters was first released in Australia by ABC in 1990, it was described as “a landmark in the internationalisation of Australian jazz”. In a Manhattan recording session in 1988 the then 30-year old Australian Mark Isaacs joined as record producer and pianist with two of the legends of international jazz: the British-born, ex-Miles Davis bassist Dave Holland, for many decades an acclaimed leader in his own right, as well as drummer Roy Haynes, currently 88 years of age, still playing up a storm and immortalised as a first-guard bebop pioneer who had played with Charlie Parker and Bud Powell. Mark requested a rehearsal, but Haynes advised that it would defeat the purpose. Mark got the point. When the musicians met at New York’s Power Station studio, there wasn’t a shared note until the tape ran. Mark began each take by striking a chord; when the moment seemed right he signaled an end. Later he would pick the best tracks..... Less than four hours after they’d begun, he had an album. Mark looks back on it as “free music that still aspires to a song form and a kind of melodicism.” Twenty-five years later, the results are still exciting.